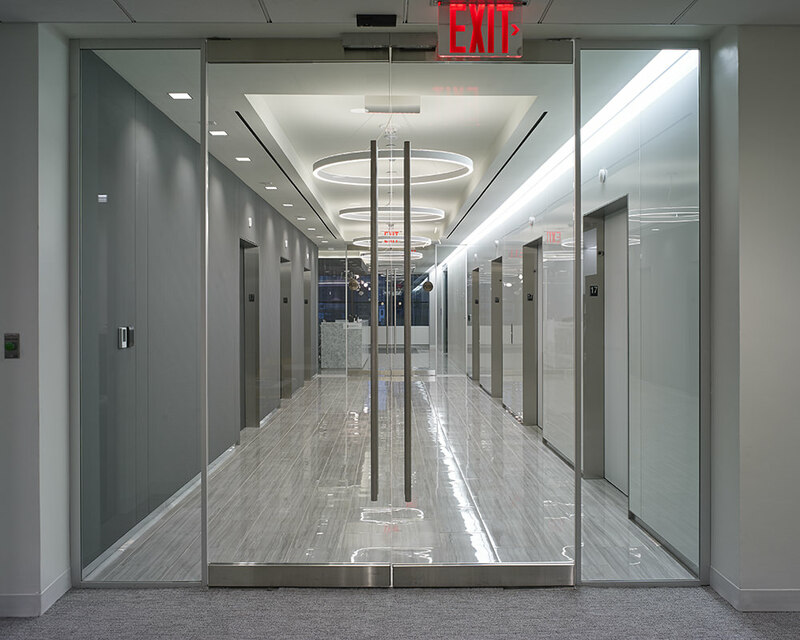 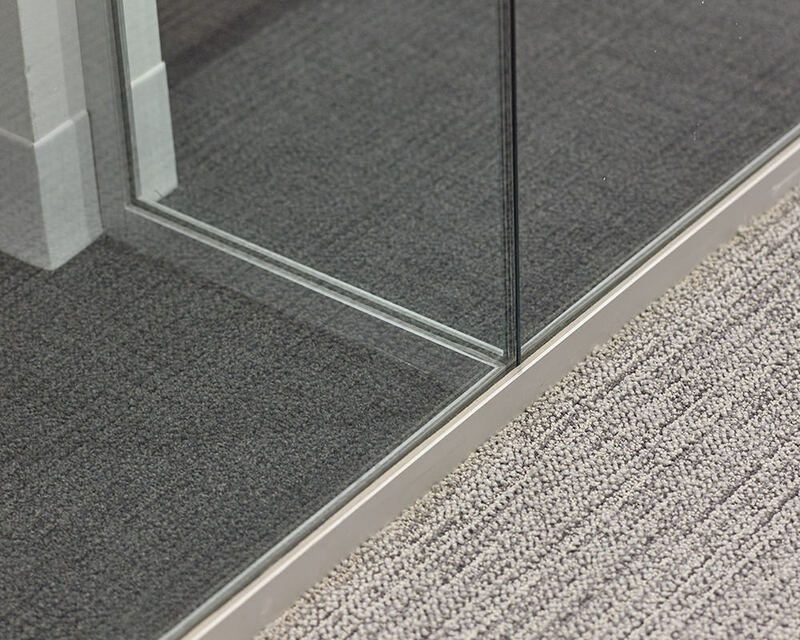 When Francis Cauffman designed this law firm's Park Avenue offices, they selected Sky Walls Horizon Series for the private offices. 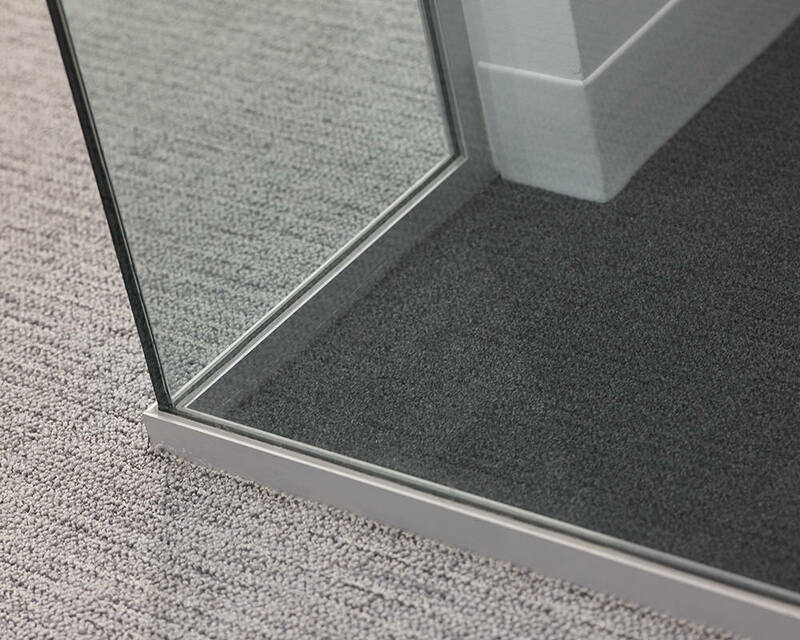 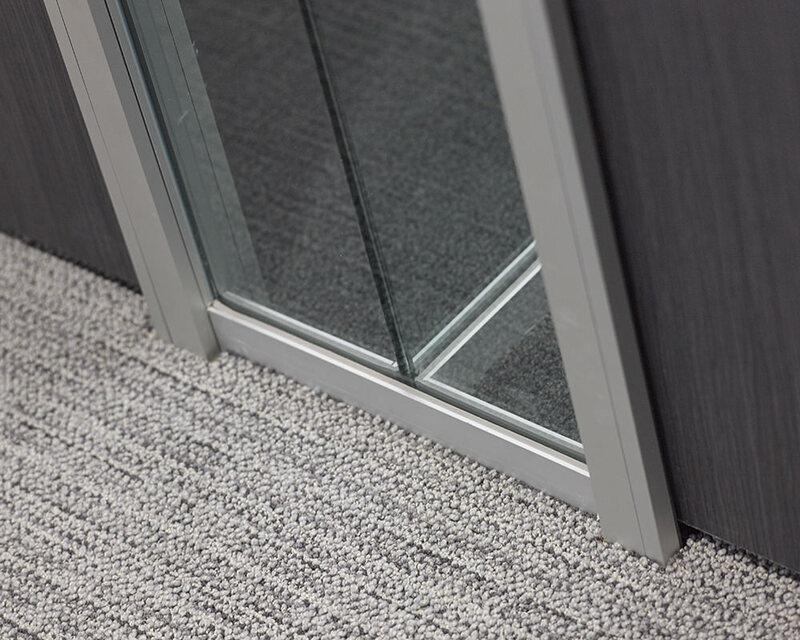 Horizon provided the simplest, slimmest profile available, without sacrificing performance. 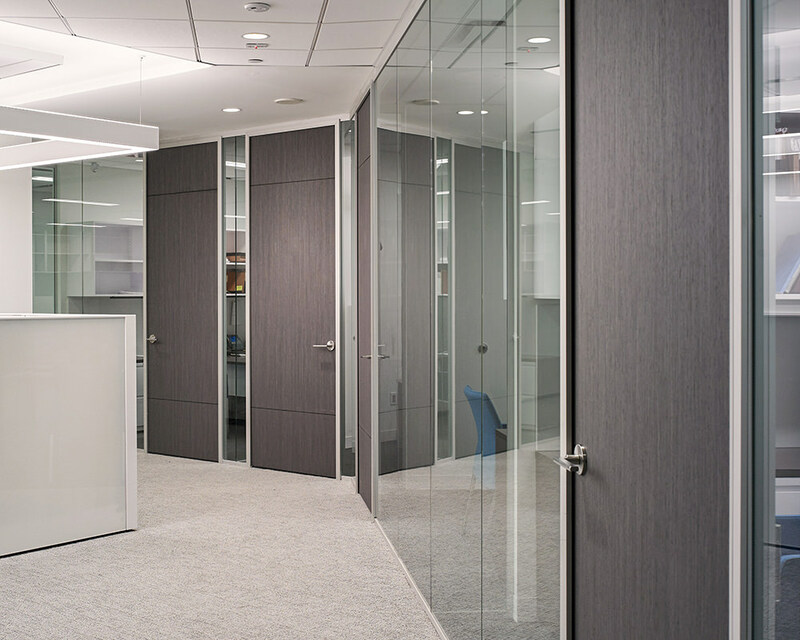 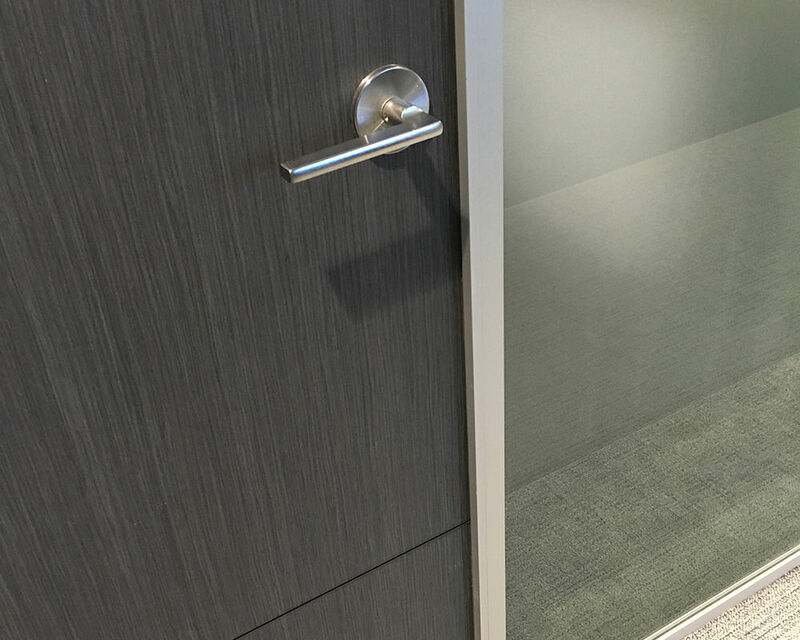 The cool, grey palette of the space is highlighted by the lustrous aluminum finish and the custom-stained grey oak doors. 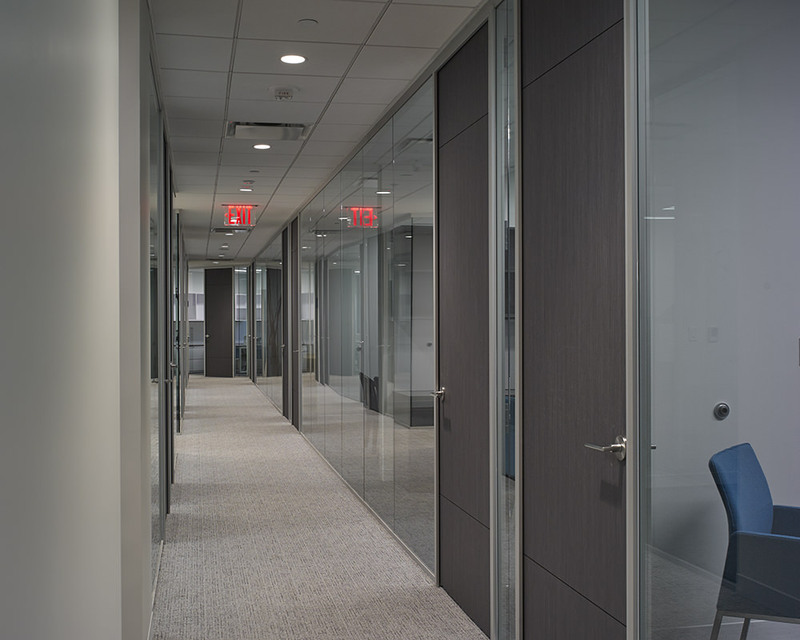 The schedule for this project was unusually fast, even by New York standards, and Sky Walls' local manufacturing and short lead times allowed the client to occupy their space comfortably on time.